The demand for mid-size pickup trucks is apparently overwhelming GM’s Wentzville, Montana assembly plant’s capabilities. In response, GM and Navistar have entered an agreement to free up space at Wentzville by moving production of the cutaway versions of the Chevrolet Express and GMC Savana vans to Navistar’s Springfield, Ohio plant. The move will happen in the first half of 2017 and will not affect production of the standard cargo and passenger version of the G-series vans. The move will also add roughly 300 new jobs at Navistar as the company recommissions its second assembly line. GM’s Cathy Clegg, the company’s North American Manufacturing and Labor Relations VP, voiced the positives for GM, saying, "This partnership will provide our Wentzville, Mo., assembly plant more flexibility to keep up with continued demand for mid-size trucks and full size vans." This isn’t the first we’ve heard news of GM and Navistar teaming up. Back in July of 2015, we reported the pair was entering a mutually beneficial relationship to build Class 4, 5, and 6 medium-duty trucks. The relationship would put GM back in the medium-duty truck segment while giving Navistar the use of GM technology. You likely remember the Navistar name for its long-standing relationship with Ford, however, which dates back to the 1980s with engine-sharing deals. Navistar also built Ford’s medium-duty trucks from 2001 through 2010. Perhaps the most memorable product was first version of Ford’s Power Stroke engine, the 7.3-liter V-8 turbodiesel. Ford and Navistar parted ways in 2010. 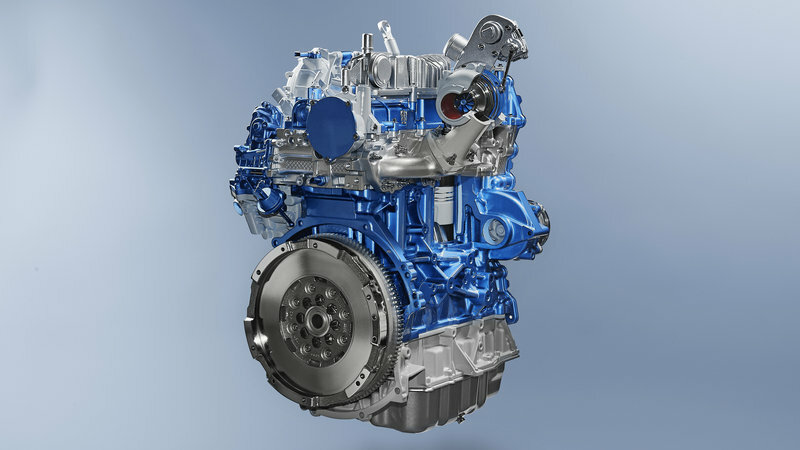 Ford Europe has broken news of an all-new 2.0-liter turbodiesel engine set to replace the current 2.2-liter DuraTorq four-cylinder in several commercial vans, while being prepared to power future passenger cars. Piggybacking off the recognition of the EcoBoost brand, Ford is calling the turbodiesel the EcoBlue. The engine is said to be more efficient, cleaner, and more powerful than the outgoing DuraTorq. It will meet or exceed the stringent Euro 6 emissions standards thanks to a urea injection system within the exhaust. The 2.0-liter EcoBlue will come in various states of tune, ranging from 99 horsepower up to 237 horsepower. Likewise, torque will range from 266 pound-feet to 299 pound-feet. 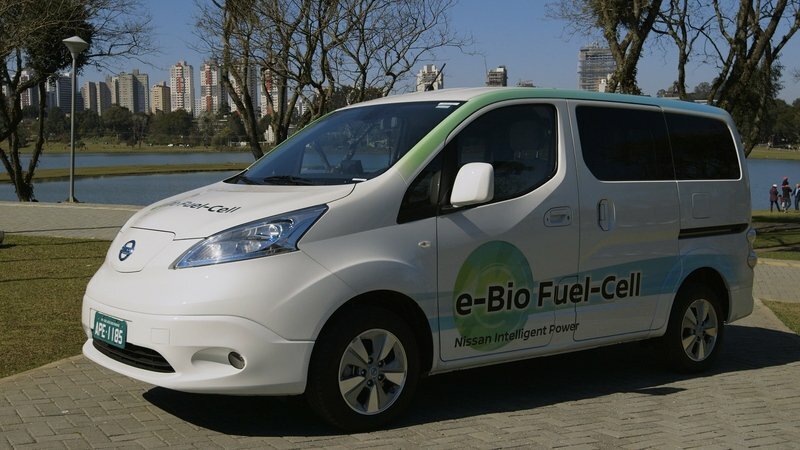 The EcoBlue engine will debut in the Transit and Transit Custom vans, but will eventually make its way to other products. Ford says a 1.5-liter version is in the works as well. The engine utilizes a host of high-tech innovations, such as an offset crank that reduces piston side-load; a motorized and geared wastegate actuator for quicker response; a belt-in-oil design that drive the camshaft and oil pump; and an optimized combustion chamber said to be more efficient than any diesel Ford has ever made. The engine also features Ford’s first mirror-image inlet design for the intake manifold and a low-inertia turbo that features “rocket engine materials,” more technically called Inconel alloy that is resistant to extremely high temperatures. All this is done to make the engine more efficient, quieter, and longer lasting. Ford says it racked up more than 3.4 million miles on the engine during durability testing, which also included 250,000 mile of actual use by real-world customers. Fred Williams, 4Wheel & Off Road editor and host of Dirt Every Day, pairs up two unlikely vehicles for an informal (and rather fun) race around a grassy and dirt-filled track in the middle of nowhere. The vehicles: a 1967 Ford F-100 and a 1989 Volkswagen Van. Yep, this is a race for the ages. Williams employs the help of his friends to get the event going, and his ole buddy Frank supplied the F-100. The truck had been sitting up for seven years, set aside after Frank broke his neck in an accident. Now with hand controls, he’s able to pilot the truck once more. Well, that is after Frank and Williams get the truck running again. The VW van is in a similar state of disrepair. New progressive-rate coil springs and Fox Racing shocks bring the van’s suspension into the current century, while a slight engine tune and Super Swamper rear tires motivate the mess. It’s pretty impressive how the Van morphs from a heap of crap into something that looks fun. 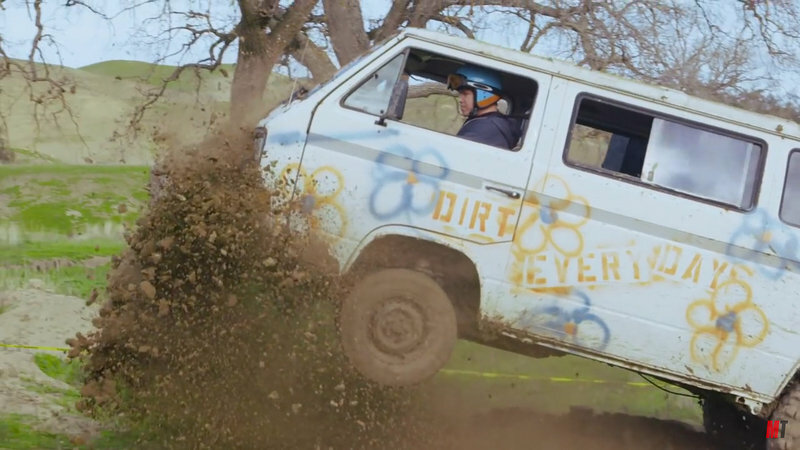 I won’t spoil all the video’s fun, so enter full-screen mode, crank the volume, and enjoy the pilot episode of season five of Dirt Every Day. The Nissan NV3500 Cargo Van might not be the first choice when it comes to drifting, but that’s exactly why Nissan chose it to prank pro drifter Chris Forsberg. 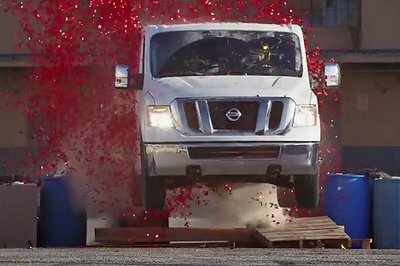 The action-packed video shows Forsberg preparing to drift a Nissan 370Z, but only to be surprised with a NV Cargo Van. The NV3500 appears to be stock, save for the large handbrake handle and its nanny systems turned off. 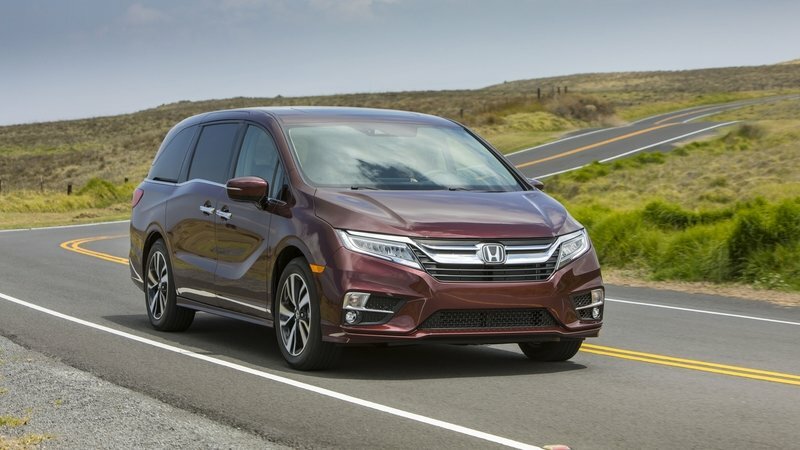 The lack of anti-lock brakes, traction control, and stability control allow the van to behave like a proper rear-wheel drive, V-8–powered vehicle should. Sure, sliding sideways under power might not be the most advisable driving style in the high-centered cargo van, but hey, it’s nice to know the NV can handle the abuse. For those a little rusty on their work van stats, the Nissan NV is based on the first generation Titan pickup. It shares much of its platform and powertrain with the truck, including its ladder frame and 5.6-liter V-8 engine. The 32-valve, DOHC engine makes 317 horsepower at 5,200 rpm and 385 pound-feet of torque at 3,400 rpm. This gives the 6,121-pound van enough power to haul 3,780 pounds of cargo or tow 9,500 pounds worth of trailer. It’s apparently also enough power to melt the tires off while launching the van over ramps and through walls. Hey, B.A. 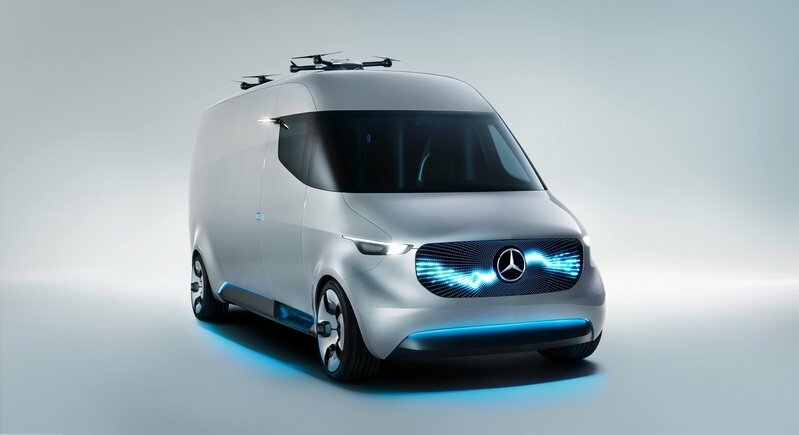 Baracus of the A-Team might consider replacing his 1983 GMC Vandura cargo van with something more modern. Let’s just hope he keeps the black, grey, and red paint scheme. 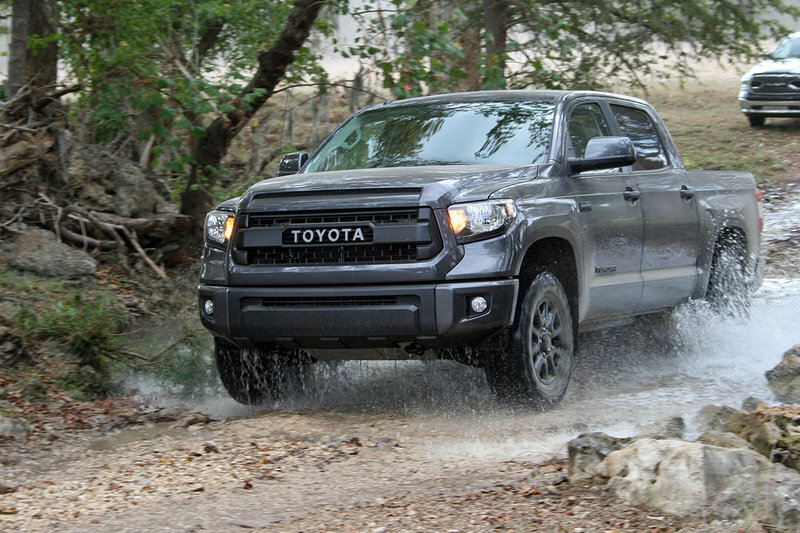 As a member of TAWA, I spent the majority of the week driving the rock-strewn hills outside San Antonio testing more than 80 contenders, including crossovers and SUVs, vying for that coveted award and top rankings within their respective categories. More than 20 automakers from around the world were present, with most bringing several entries. The epicenter for testing was the famed Knibbe Ranch. The 150 year-old, family-owned ranch is still in operation, with hundreds of acres sprawling over the Texas countryside. 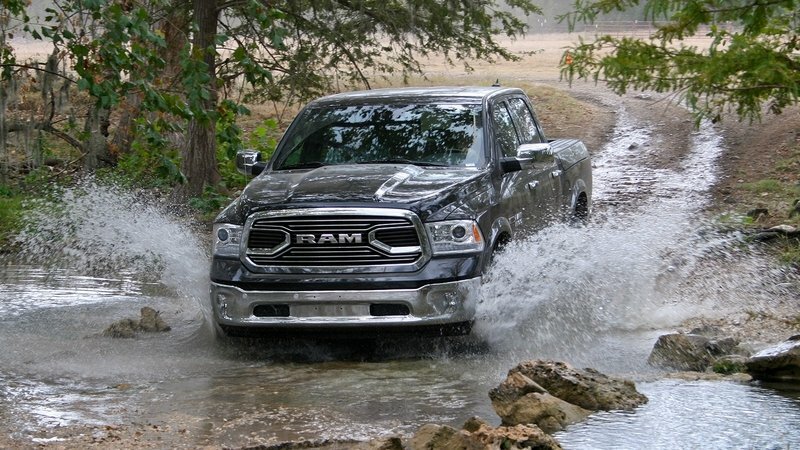 Rolling hills with rocky outcroppings and a shallow stream provided the perfect place for exploring each truck’s off-road abilities while curvy back roads and a long highway stretch nearby were well-suited for testing on-road drivability. Though the pickup trucks and body-on-frame SUVs were often tested on the highways, the covers crossovers and more road-focused SUVs were restricted to the roads only. These family-friendly vehicles were put through their paces just as well as the 4WDs on the off-road course. The 69 journalists judging the event had an important decision on their hands: How would each vehicle rank in their respective category, and more importantly, what truck had the right stuff to win Truck of Texas? Curious yet? You’ll have to stick around till tomorrow, October 13, 2015 for the results. Ford’ s Kansas City Assembly Plant in Missouri is under threat of strike by the UAW Local 249 if the automaker and union cannot come to an agreement before Sunday, October 4, 2015. According to UAW leaders, Ford had failed to resolve issues surrounding worker safety, wages, and other employment issues. Ford’s Kansas City Assembly Plant in Missouri is under threat of strike by the UAW Local 249 if the automaker and union cannot come to an agreement before Sunday, October 4, 2015. According to UAW leaders, Ford had failed to resolve issues surrounding worker safety, wages, and other employment issues. Both the F-150 pickup and Transit van are produced at the facility. The union has accused Ford of not negotiating in good faith to resolve the issues in a timely manner, and therefore has created a deadline of 1 pm local time on Sunday. If an agreement is not reached by that time, nearly 7,000 workers will stage a walk-off. According to Jimmy Settles, the UAW vice president, the issues include “manpower provisions, the national heat stress program, and skilled trades scheduling, amongst others.” Other reports detail the issues to be a safety concern regarding excessive heat exposure, scheduling for skilled tradesmen, and provisions for manpower at the Kansas City Assembly Plant. 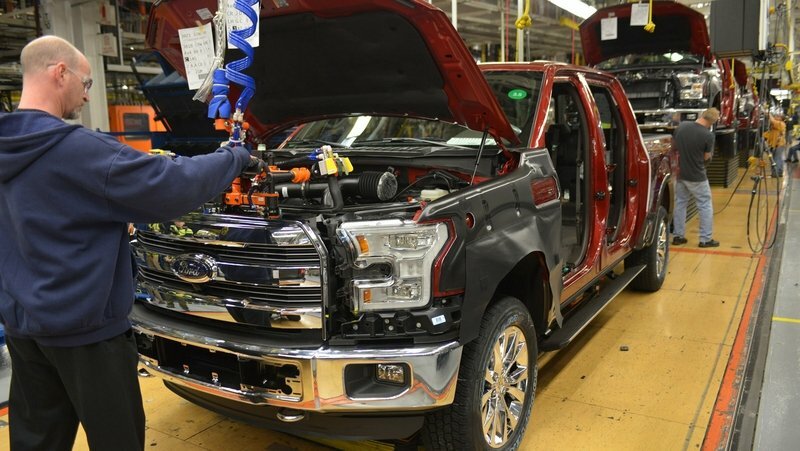 In the event Ford and the UAW do not come to an agreement, a strike at the KCAP could spell disaster for Ford’s supply of new F-150s and Transit vans. Ford has already been dealing with a slow supply of the F-150 thanks to parts supplier issues. Any additional delays could result in dramatically reduced inventories at the dealership level. The United States Postal Service is adding a new van to its fleet – the Ram ProMaster 2500 Cargo. Yep, now your daily delivery of junk mail, bills, and car magazines may have traveled in the cavernous interior of Ram’s largest van. Ram will be supplying 9,113 new ProMasters to the USPS, adding to the government agency’s fleet of roughly 190,000 vehicles – one of the nation’s largest fleet. 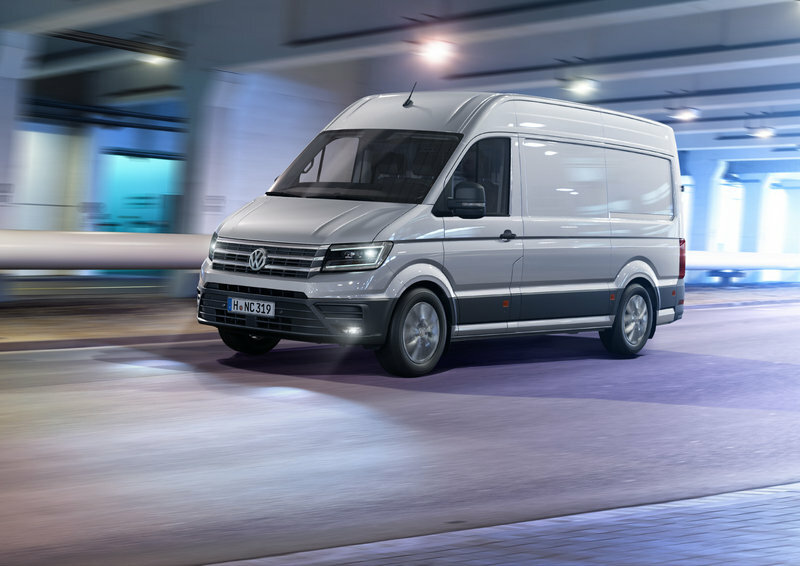 The ProMaster vans will be used for mail delivery in various parts of the country, with each being fitted with specialized shelving inside for packages. Beyond the interior upfits, the ProMaster vans will be regular production units. The USPS has selected the 3.6-liter Pentastar V-6 as its engine of choice. The venerable mill produces 280 horsepower and 260 pound-feet of torque. A six-speed automatic transmission will back up the Pentastar, providing smooth shifts and excellent cargo-hauling capabilities. 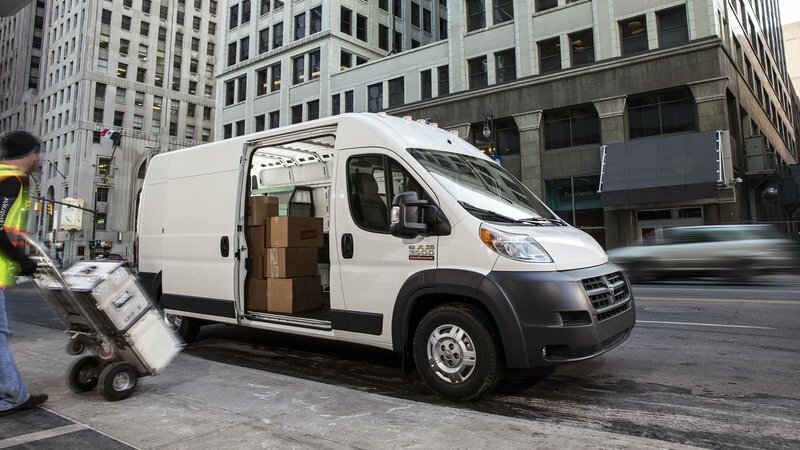 The ProMaster will replace some of the USPS’ oldest models. The agency is still using roughly 142,000 purpose-built local delivery vehicles called Long-Life Vehicles, or LLVs. This marks the first time both Blue Bird and the Transit have come together. Traditionally, the Ford E-Series chassis cab has served this role, but with Ford beginning its phase-out, the Transit is getting some attention. The result nets plenty of benefits, including better fuel economy, a lower floor height, and increased outward visibility. The T-Series bus is available in two wheelbases, with single or dual rear wheels, and with space ranging from nine to 25 passengers. The Transit offer all three of its engine options here as well, meaning school districts can choose between the 3.7-liter V-6, the 3.5-liter EcoBoost V-6, or the 3.2-liter inline five-cylinder Power Stroke turbodiesel. All three engines come mated to a six-speed automatic transmission with Ford’s SelectShift and tow/haul mode. 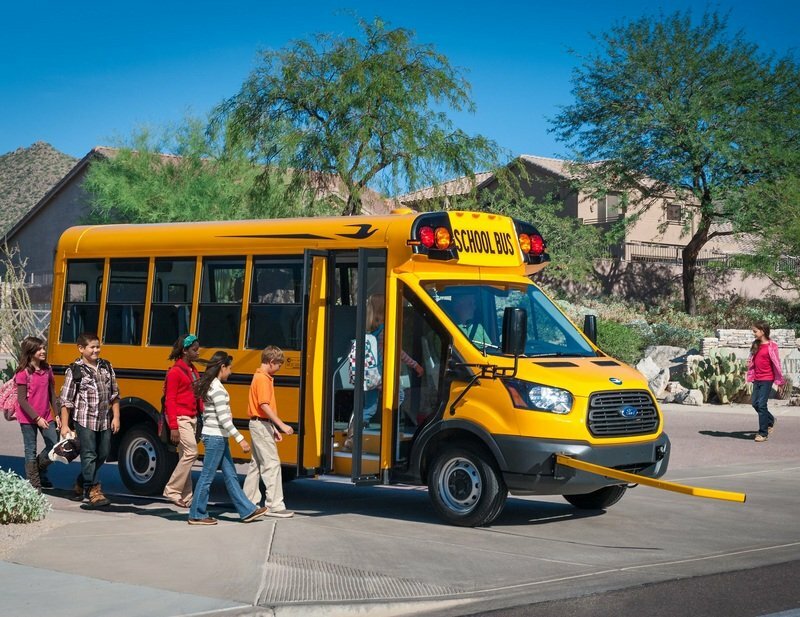 What’s more, school districts can opt to run CNG or propane with the 3.7-liter V-6 by choosing the gaseous prep package. For those taking the diesel route, the 3.2-liter is B20-capable, so it can run on a 20 percent mix of biodiesel. 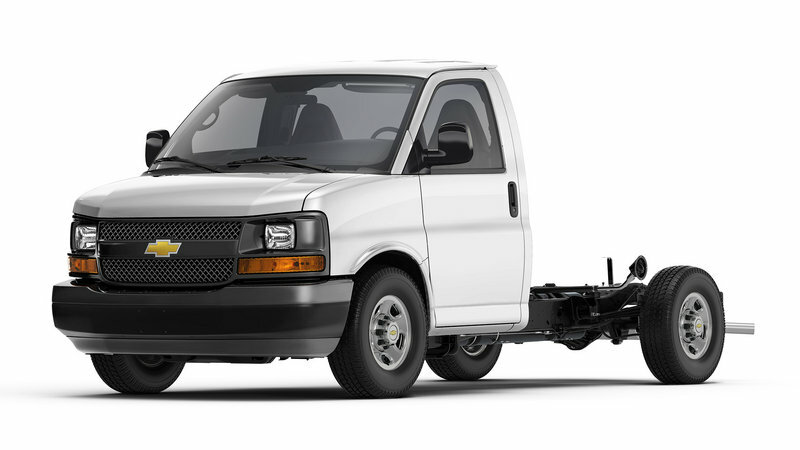 As far as capability, the Transit T-Series has a lighter curb weight, which directly translates to an improved payload capacity that maxes out at 10,360 pounds. Like the conventional Transit, bus prep package Transits are produced at Ford’s Kansas City Assembly Plant but come with a heavy-duty alternator, dual batteries, an auxiliary fuse panel, an auxiliary HVAC prep package, and the right-hand door delete. That door delete allows upfitters to install a large window and the two-panel bus doors where the right passenger would normally sit. Blue Bird is only one of several bus upfitters, including Collins Bus Corporation, Thomas Built Buses, and Starcraft Bus. UPDATE 05/28/2015: The article previously stated the Ford E-Series went out of production. While that’s true for the E-Series Wagon, Ford says the Chassis Cab will soldier on till the end of the decade.